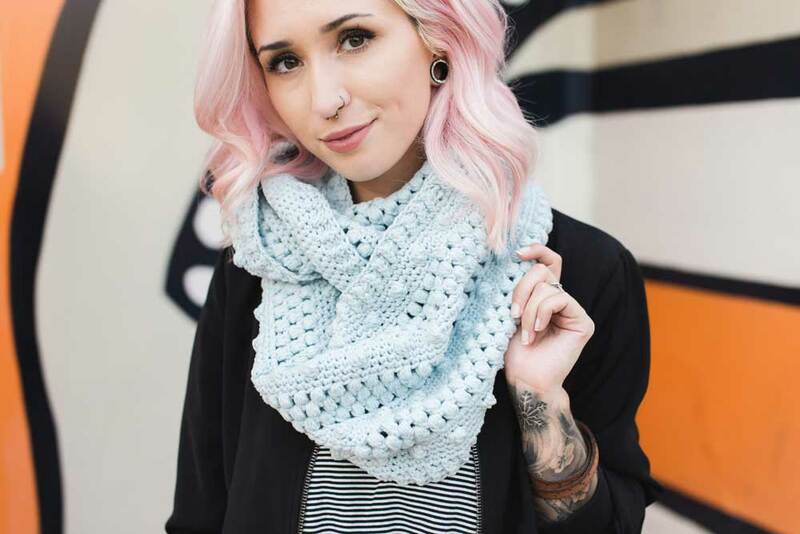 It's nearly chilly season so it's about time we make some delicious scarves, yeah?! 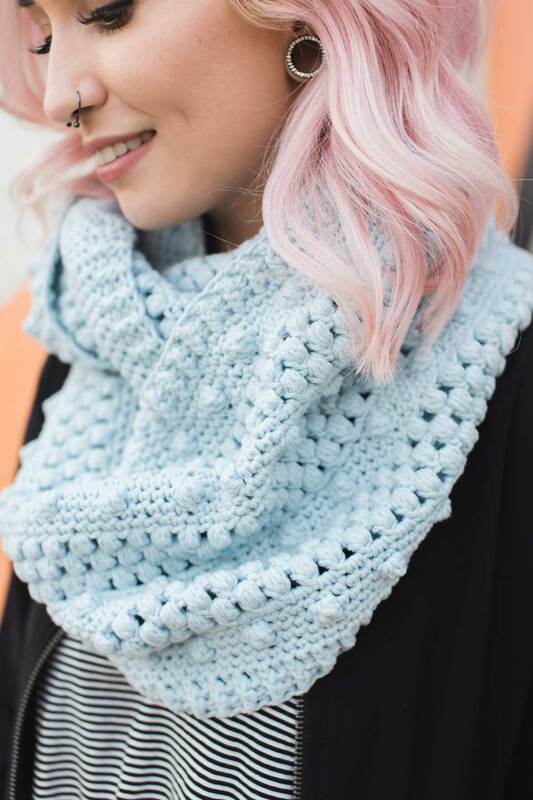 I am so excited to release my new Dottie Infinity Scarf crochet pattern! 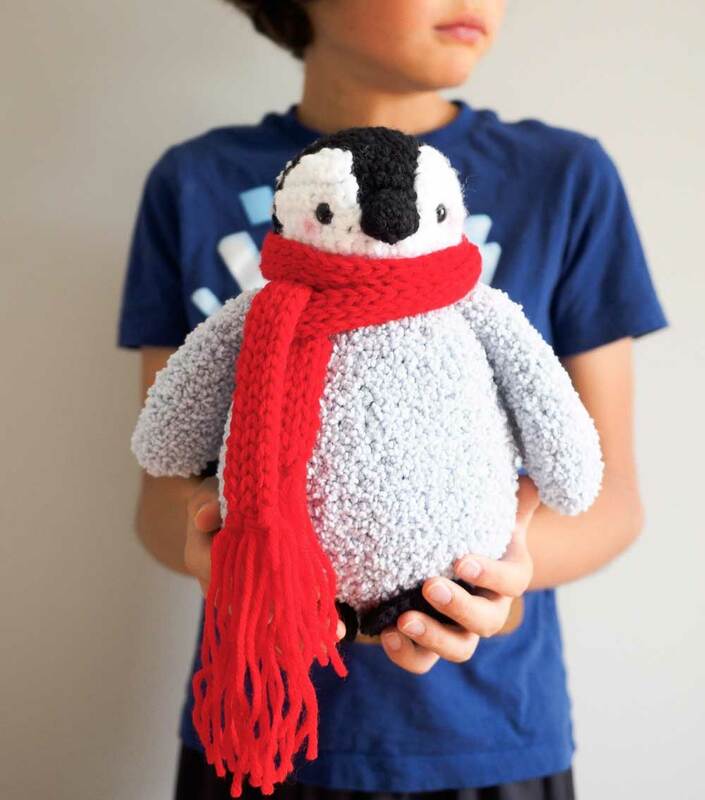 If you haven't heard, Lion Brand Yarn is hosting their 12 Weeks of Christmas campaign and I am so fortunate to participate this year! I am one of twelve featured bloggers in this campaign, and ALL twelve designs are so so amazing! Check them out! Dotted with lattice-work and traveling cables, the Meara Fisherman Sweater is an easy throw on in the colder months - perfect for the seashore or fishing off the pier. 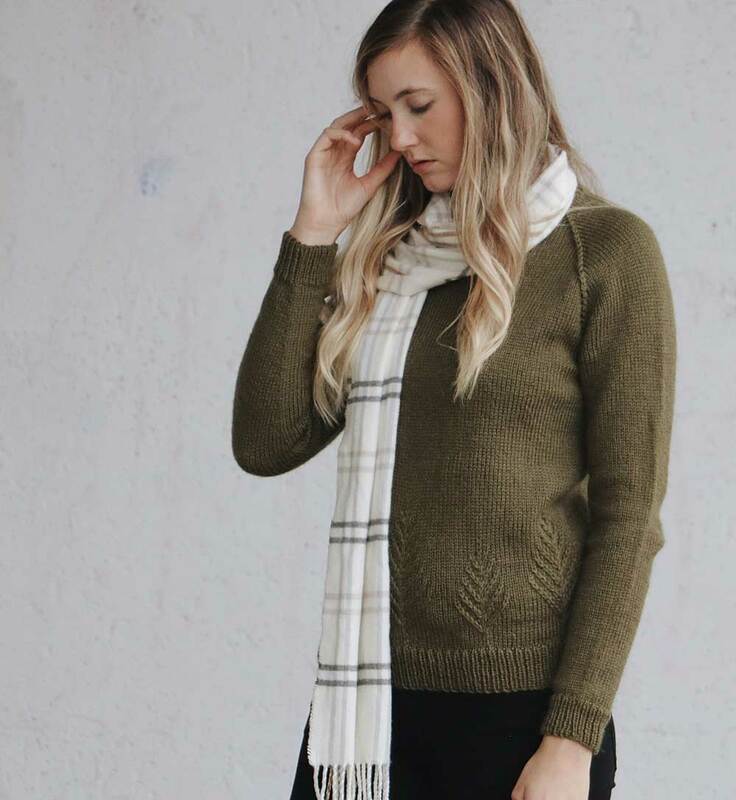 Modified drop shoulders create a pullover roomy enough for layering, while bracelet-length ribbed sleeves keep the look simple and understated… The kind of perfectly flattering, perfectly useful sweater that never makes it back into your drawer. Crisp cables climb from bottom to top, showcasing the thoughtful details and day-in-and-day-out cozy feel and comfortable ease of this snuggly turtleneck. Soft as a cloud against the skin but durable enough to weather any storm, this oversized pullover is the kind of sweater for which you ignore all the others in your closet, and the ideal companion for weekend adventures. This classic crewneck style sweater is designed with a textured tree detailing at the waist. The unique design will be sure to find a home in your winter wardrobe as both a Christmas sweater during the holidays and as a classic addition to your cold weather wardrobe. Make one for yourself or give it as a gift, this sweater is a real joy to knit. 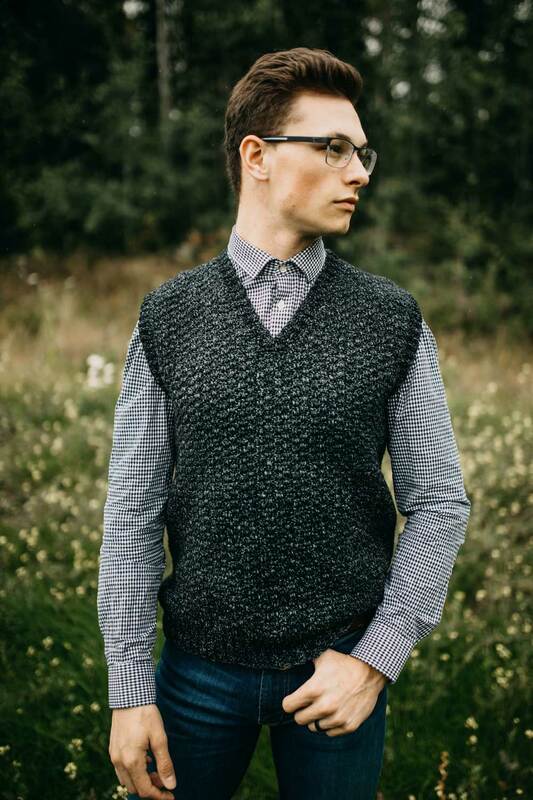 Designed to be a classic piece, the Summit Men's Sweater Vest is a garment that will be worn for years to come. Pair it with dress slacks for a dressier look, or pair it with jeans for a more casual vibe. The style is timeless and perfect for all occasions. 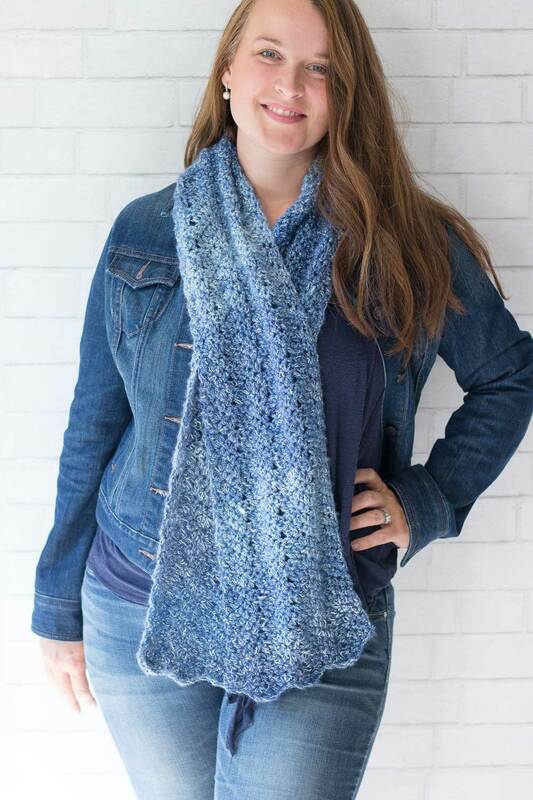 Knit this luxurious and chunky ribbed blanket that works up quickly! 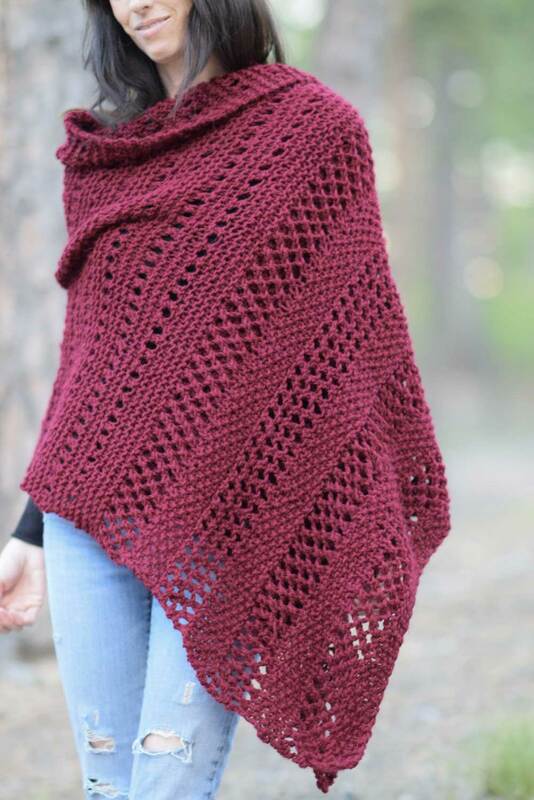 This blanket is knit by holding one strand of Wool-Ease Thick & Quick yarn together with one strand of Homespun yarn, giving a gorgeous texture. The bold ribbing is framed by classic stockinette stitches with smooth chained edges. Optional fringe is added for a boho look. The Simple Chunky Ribbed Knit Blanket is the perfect touch to any room as it is warm, washable, and matches with everything with its modern and neutral colorway. 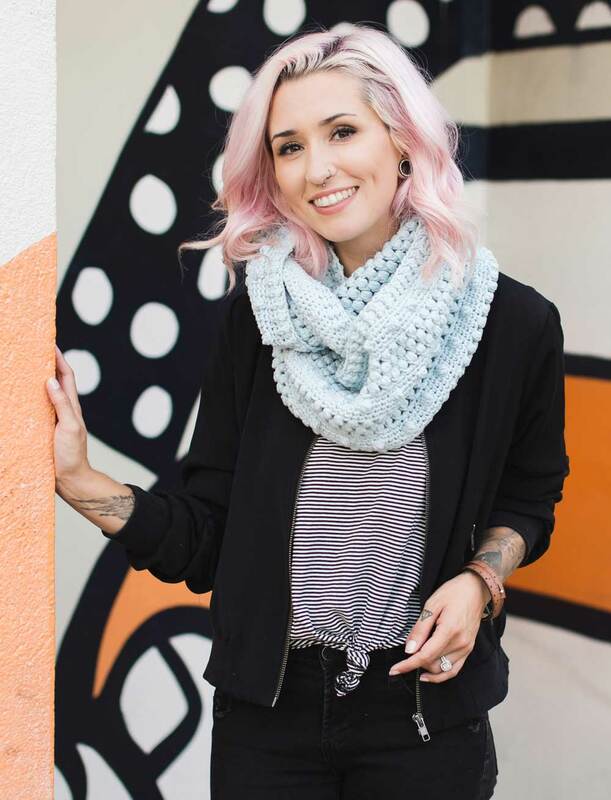 The Luna chevron scarf is designed using a simple stitch repeat and makes a warm and stylish scarf which is perfect for cooler days! 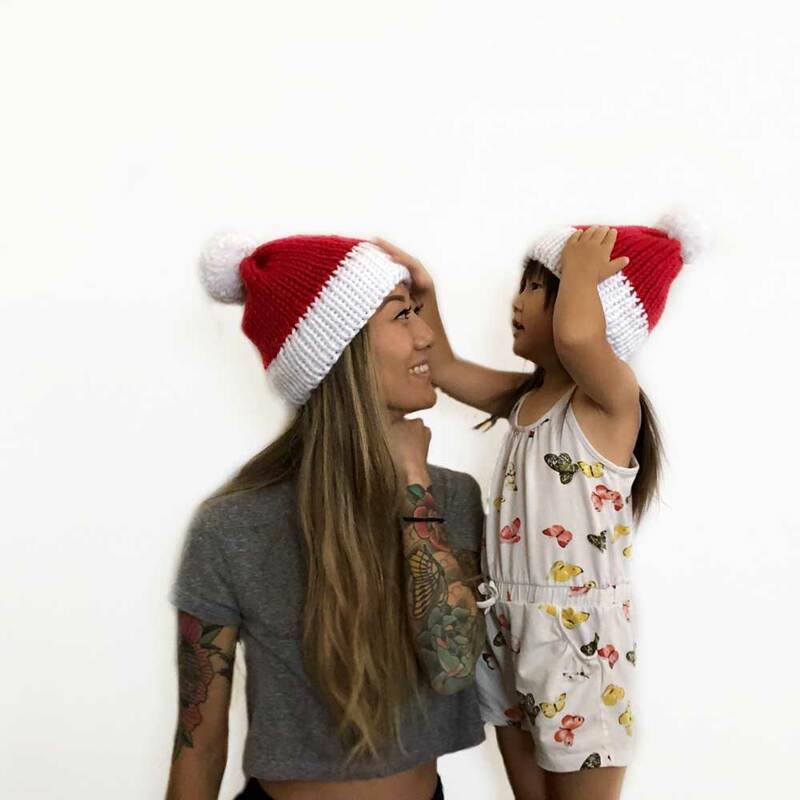 The Slouchy Santa Beanie is the perfect festive beanie for the holidays. 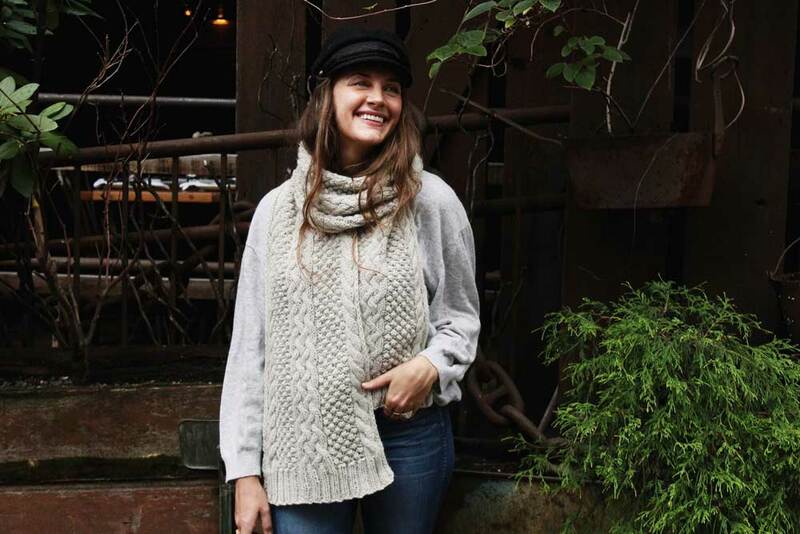 It’s a simple and quick knit that features a double brim and is knit in the round. Didn't everyone do such an amazing job?! I'm always so blown away by the creativity from everyone in the community! Which one is YOUR favorite?! You can snag these kits 20% off right now so feel free to snag one asap!